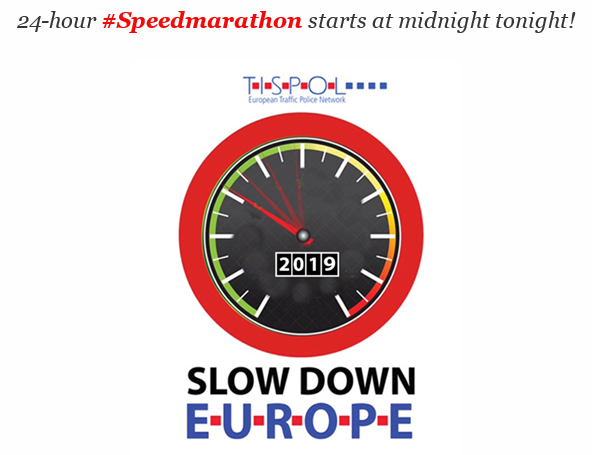 24-hour #Speedmarathon starts at midnight tonight! Police officers across Europe have begun their latest week-long speed enforcement operation, which runs for a week until Sunday 7 April. Included in the week’s activity is this year’s 24-hour ‘Speed Marathon’, starting at 0000 tonight.